Over 50 project proposals are included in the bid proposal which was submitted to the Scottish and UK Governments at the beginning of March. 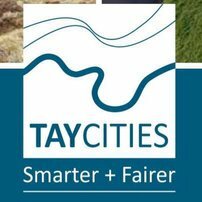 Set out as a series of “asks” and “offers” across 100 pages, the Tay Cities Deal submission lists opportunities and challenges for the Angus, Dundee, Fife and Perth & Kinross economy over the next 20 years and details how investment will help the region become fairer and smarter through inclusive growth. The total cost of the proposed investment is £1.84 billion of which £826 million (45%) over 10 years is being sought from the Scottish and UK governments and their agencies. If every project and programme set out in the submission is funded and delivered, as many as 15,000 job opportunities could be created across tourism, food and drink, creative industries, eco innovation, digital, decommissioning, engineering, biomedical and health and care. Provided that new or additional powers are devolved to the four local authorities they say they could take on additional responsibilities more efficiently and at the right scale. For example the councils confirm they will work with each other and with partners across the region to strongly focus on actively managing the performance of the whole employability and skills service. They also want to work with employers to develop career pathways for existing employees, with the focus on opportunities created by job turnover and through that to make the region fairer. At the launch of the Tay Cities Deal Cllr Ian Miller Perth & Kinross Council leader commented: “Our submission also has an unprecedented focus on cultural regeneration, supporting Perth’s bid to be UK City of Culture 2021 and Dundee’s bid for European Capital of Culture 2023.